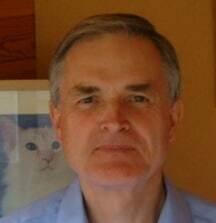 I am Stephen Mayles, the Senior Partner at Chestnut Lodge Pet Crematorium and Pet Cemetery. I have a first class team working with me headed by Riann Cole. Our aim is to help you and to make your life less difficult by giving you a full range of choices of how to mark the passing of your pet and to help you celebrate the life that has been. The businesses at Chestnut Lodge were started back in 1969 with the boarding cattery, then called Birchacre Cattery, and the establishment of the Pet Cemetery. The Cemetery quickly grew in size as there were very few around at that time. In those days pets were either buried in the garden or left at the vets for disposal, either by incineration or landfill. Around 1974 a small cremation facility was added for individual cremations although there were very few carried out at that time. Bureau as we had intended building one from scratch. When we heard about Chestnut Lodge being up for sale we came over to take a look. The Boarding Cattery had a good reputation and although the Pet Cemetery and Pet Crematorium were not businesses we had ever thought about they seemed an interesting and very necessary service. In April 1986 we took over the property. The previous owner wanted to keep the name Birchacre as a breeding prefix so the concept of Sylvester’s Cattery was born. We were still working in Bahrain at that time and our friend Joyce Rix moved into Chestnut Lodge to run the place with the help of Susanna’s father. We returned for good in August 1987. Running the businesses and trying to rebuild the cattery proved a huge task. The plans for the Quarantine Cattery were established and that opened in 1990. We knew it had a limited lifespan as there was already take of replacing the quarantine system but the chalets were built to provide excellent quality accommodation for all purposes. We quickly became established as the leading one in the country and found that we ran full most of the time. The existing domestic part of the cattery was rebuilt over the years to be the top class cattery it is today. When we took over at Chestnut Lodge the pet crematorium was only carrying out about 12 individual cremations a month. We quickly installed a new cremator and found the demand starting to rise. A new building was put in during the Quarantine Cattery construction for the latest design of cremation unit. It was well known among vets at that time that cremation services were not being properly carried out. The commercial veterinary cremation services had grown out of the disposal system and the machines and handling methods were not consistent with people’s ideas of a cremation. We simply established our cremations as the equivalent of the human system which is what most people expected. We have always worked this way and it seems incredible to us that other businesses do not. Over 25 years later it is sad that there has been so little change in the service that most people receive for a cremation. In the beginning, we were concentrating on individual pet cremations but it was clear that other pets were getting a very poor service. In 1994 we decided to start a communal cremation service with pets collected in containers, carefully cremated and the ashes placed into memorial areas in the pet cemetery. There was no other service like it at that time and we are still the only one to serve London and the South-East. Most pet owners may be told their pets are going for cremation but the reality is little different to that in 1986. 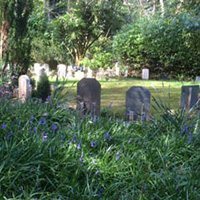 In 1993 we helped establish the Association of Private Pet Cemeteries and Crematoria. This set a Code of Conduct for the pet cremation sector that enabled pet owners to know they were getting the service they were expecting and paying for. It is still the only Code that provides this and although there are many good pet crematoriums in the membership the majority of pet cremations are still carried out by Commercial Veterinary Services where handling and cremation methods may not be up to everyone’s expectations. After a few years, I became Vice-Chairman of the Association and have worked hard to establish training modules, uphold standards and deal with the vast amount of ever-changing legislation. We closed the Quarantine Cattery in 2001 as the Pet Passport System was established and it was clear the business was going to drop off dramatically. 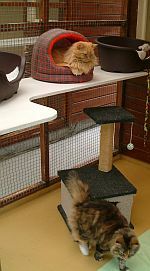 The cattery was incorporated into the normal holiday cattery. Unfortunately, Susanna had been diagnosed with cancer in 2000 and died in November 2001. I was fortunate in that we had two very capable girls in Riann and Lorraine who had been working for as for a while and were able to step up and help me. It was a huge upheaval for the business as well as a personal one but we set about to tackle the task. As Riann became more involved in the overseeing of the work she moved up to the position of Junior Partner. Lorraine left in 2011 to concentrate on her family and is missed by all. Fortunately, we were also joined by Marianne Wood who came to us after completing her degree in Animal Studies. She originally concentrated on the Cattery and the Office but now runs most of the crematorium work. The Pet Crematorium continued to grow as more people wanted their pets individually cremated and several vets used our profesional service for communal cremations. As cremation has grown in popularity so the demand for burials has fallen although we still carry out a number of new burials each year and maintain the Cemetery for visitors. Recently we have seen a great change in the Veterinary world. So many practices are now becoming part of large commercial groups and with older partners retiring a new era is coming. This is often focused on the commercial rather than the old professional aspects and many surgeries are now moving back to commercial veterinary cremation services that provide high levels of risk-free profit as well as handling all veterinary waste. We have vowed to maintain our ethical standards and now concentrate mainly on providing cremation services directly to pet owners and to also provide a professional veterinary service for those surgeries that want to keep a high standard of service for their clients. Sadly, as of May 2018 we have closed Sylvester’s Cattery. It was a huge decision to take but it was becoming increasingly difficult to run due to lack of staff. The constant coming and going of people, often without any notice, placed enormous burdens on me and affected the running of the crematorium. As age creeps up on me it becomes more difficult to fill the gaps through extra hours. Hopefully, it will be both a good business and lifestyle decision but only time will tell. Please remember that we are here to help you, to provide comfort and reassurance for your pet’s final journey.